Katarzyna Kochany is a voting member of the Academy of Canadian Cinema and Television, and the first Canadian member of Alliance of Women Directors. Her work has screened on every continent except Antarctica, earning over 30 awards and 150 official selections from USA, Canada, Argentina, Australia, Austria, Cyprus, Denmark, Greece, India, Italy and Kingdom of Swaziland. A natural collaborator with an analytical mind, she is known as an actors’ director who elicits strong performances and has a solid grasp on the technical side of filmmaking. She has a background in training and development, and her down-to-earth leadership style taps into the cast and crew’s intrinsic motivation, with a clear vision and the ability to adjust sails as needed. An alumna of York University film school and Sheridan College, she honed her craft through shadowing directors in scripted TV and taking directing workshops through WIFT, LIFT, AWD, and Film Independent. 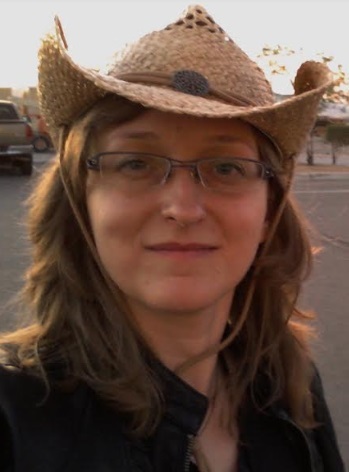 Katarzyna has served as nomination juror for the Canadian Screen Awards (Canadian Emmy) and Development Executive for the creative incubator Write Of Passage. She currently serves as a mentor for The Pilot Project. I work well with people who are smarter than me in their areas of specialty, and lead them to bring their A-game so that we can all achieve the goals of the project. Persistence. Candor. A genuine curiosity about the world and the desire to understand people. To collaborate with good people on challenging projects, and to always remember to appreciate the moment. Aside from basic survival, career and money, there is another kind of success that matters in life. When I was a teenager I came across a poem called “Do It Now” by Berton Braley. There have been moments when following its advice proved especially timely. Sometimes people didn’t believe me or assumed I had a hidden agenda, but they would figure out rather quickly that the words were sincere. Probably because I tend to be candid in what is and isn’t working, and I appreciate it when others do the same. That approach certainly makes for a more productive work environment. For he cannot read his tombstone when he’s dead. And the hearty, warm approval of a friend. Though technically it wasn’t my decision, a particularly challenging moment was moving halfway across the globe as a tween. As difficult as it was to learn a new language and deal with the culture clash, along with everything else that comes with uprooting your life and living in limbo at such a young age, that experience forced me to learn skills that make me a better storyteller, better collaborator and a more effective leader. Say what you mean, mean what you say, do what you say you’re going to do. People who live a life of purpose. There are many around the world, but if I had to pick just one who is in the public eye, it would be 97-year-old Hazel McCallion, who is still going strong. She was born into poverty in the Great Depression, and built a life of service to others. “Hurricane Hazel” served as Mayor of a growing city for 36 years. She chose to retire at 92, because she was so busy being Mayor she didn’t have time for everything else she wanted to do. Now, at 97, she is chancellor of a college, sits on the boards of three companies, as well as the board of the Greater Toronto Airports Authority. True to her roots as a professional hockey player in the 1940s, she still participates in the Ontario Women’s Hockey Association. Shortly before she retired as Mayor, she was asked what she wanted for her birthday; she wanted a better transit system for her constituents. This is a life lived on purpose. Walking shoes. I walk to recharge my batteries. I walk to brainstorm solutions to problems. I walk just for the joy of walking. The way technology never ceases to evolve yet the human spirit remains the same.